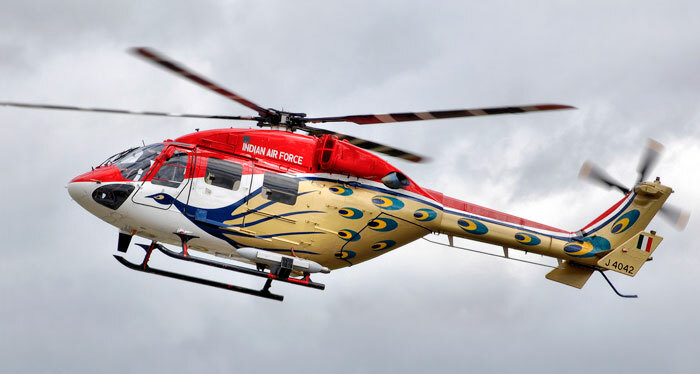 The HAL Dhruv was designed with the help of the German company Messerschmitt-Bölkow-Blohm in a design consultant capacity, it is a multi-role helicopter for use by both military and civilian users and is manufactured by India's Hindustan Aeronautics Limited, the Dhruv pictured here is in service with the Indian Air Force who have operated the Dhruv since 2002. The Dhruv's Shakti turboshaft engine was a joint development by HAL and the French company Turbomeca. This picture of a HAL Dhruv has been digitally re-mastered from an image taken by Adrian Pingstone who has kindly placed the picture in to the public domain.